Earn $80.00 in Rewards credit (8000 points) What's This? Upgrades for going up grades. 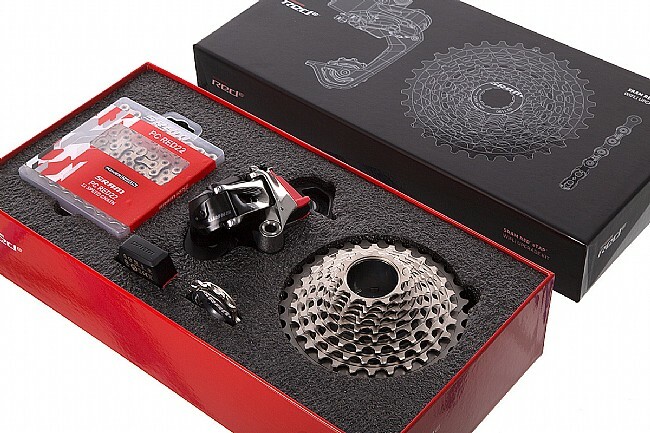 If you're already rocking SRAM's phenomenal Red eTap wireless drivetrain, you can make it even more versatile with this WiFLi™ upgrade kit that lets you use wide-range cassettes with up to a 32-tooth large cog. 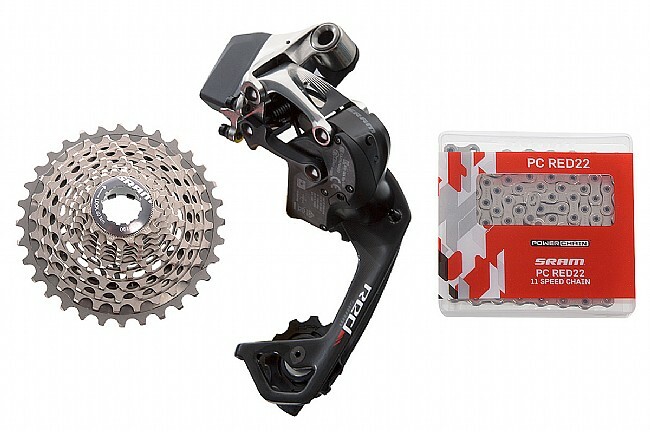 It includes a Red medium-cage derailleur that runs on SRAM's AIREA™ technology for easy wireless setup and operation. 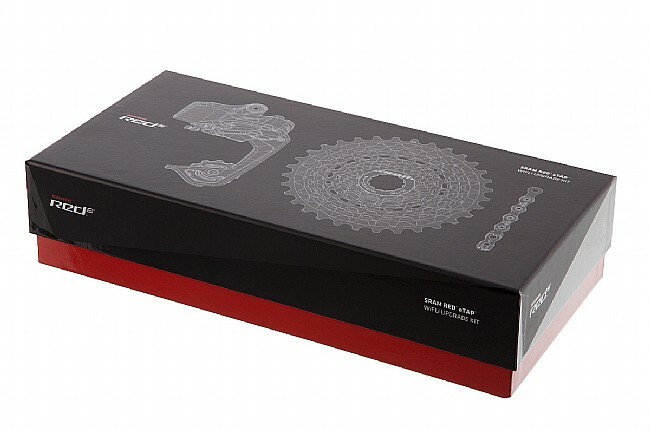 The included Red 11-32 cassette, and XG-1190 chain complete the package so you can start tackling the steeps in no time.